FROM HWY 17 N (JONES & ONSLOW CO)AT THE 7TH LIGHT TURN RIGHT ON MCCARTHY BLVD (JOE ALCOKE CHEV. IS AT THAT INTERSECTION) AND THE OFFICE IS 1/4 MILE ON THE LEFT. FROM HWY 70 WEST (CARTERET CO) TAKE JACKSONVILLE EXIT AND TURN LEFT ON MARTIN LUTHER KING BLVD. AT THE 5TH LIGHT TURN LEFT ONTO MCCARTHY BLVD. (JOE ALCOKE CHEV. IS AT THAT INTERSECTION) OFFICE IS 1/4 MILE ON THE LEFT. The New Bern Social Security office is located in New Bern 28562. The following page includes information for this location like the office phone number, hours of operation and driving directions. If you have any interests or comments about your retirement benefits or are interested in making an appointment, call the following New Bern Social Security office. The New Bern Social Security office is located at New Bern 28562. The North Carolina SSA runs a variety of federally run programs like retirement, SSI, Medicare and disability benefits. The following page contains available contact information for this location such as the Social Security office phone number, hours of operation, and driving directions. 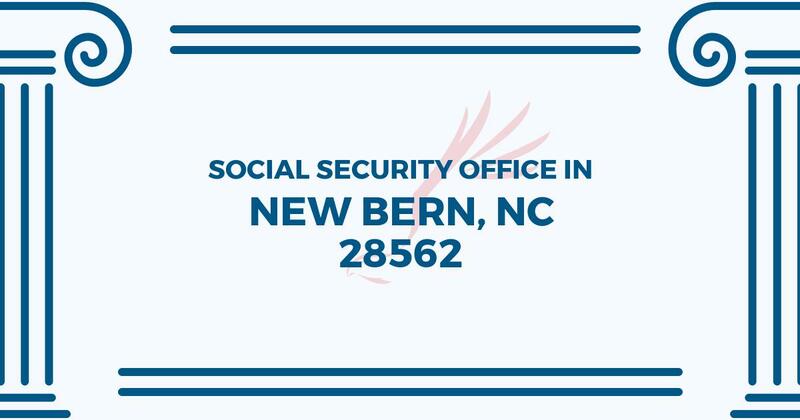 If you have any comments or inquiries concerning your retirement Social Security benefits or interested in setting up an appointment, call the following New Bern Social Security office.